Given the latest advancements in dentistry, it may appear that going to the dentist is safer than ever before. Yet, providing effective dental care is about more than new-age methods and tools. The Expert Institute documents the case of a 60-year-old female with a history of alcoholism. Previously, she received a total hip replacement. Following the replacement, she developed an infection in the hip. As it turns out, she now required a tooth extraction. The dentist was informed of her prior medical history. Following the tooth extraction, the patient experienced pain and noticed discharge from the area in which the tooth was removed. While the patient contacted the dentist on multiple occasions, she was never asked to come in for a check-up, nor was she prescribed antibiotics. Ultimately, she received antibiotics after reaching out to another dentist. Even so, she was forced to undergo a revision surgery due to the infection, and she continued to experience complications. In regards to the above-mentioned scenario, the question becomes, what are your rights when a dentist fails to deliver antibiotics following a tooth extraction? First, any practicing dentist assumes a legal duty to comply with a specific standard of patient care. This level of care is typically determined by considering the care provided by other dentists in the area with a similar educational background or standing. Thus, patient care may change depending on location. What’s more is that there are “accidents,” and there are clearly defined cases of breach of duty. This is why it is imperative to contact a trusted and experienced dental malpractice attorney if you believe that dental negligence has caused your injury or pain. Only a qualified attorney can help you sort the facts related to your case, as well as key components needed to establish your claim. Call Moriarty Injury Lawyer Today! When a dentist performs a tooth extraction, only to fail to provide the antibiotics needed to prevent infection and promote a patient’s recovery, they must be held accountable for their actions. 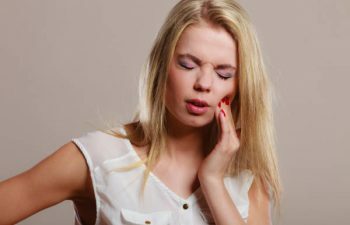 Thus, when individuals have been injured due to dental negligence, Attorney Daniel J. Moriarty works tirelessly on their behalf to help them obtain justice and the compensation that they need and deserve. To discuss your injury, call Moriarty Injury Lawyer in Atlanta today.